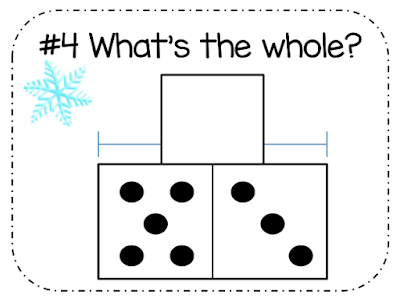 I love teaching math in December because there are so many fun Christmas things you can use as math manipulatives. I found these divided plates and mini erasers at Target. 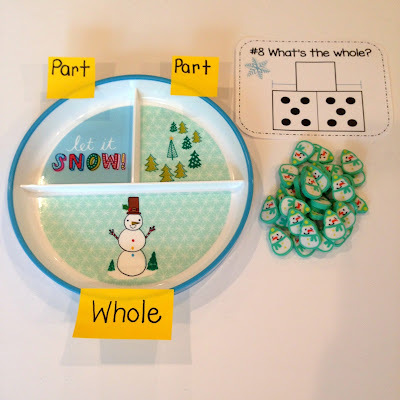 So festive and perfect for practicing addition and subtraction during the month of December! The plates were $1.99. The erasers were $1 and the jars were $1. I love the way the plates are divided because they show part-part-whole perfectly. You can even write on the plates with a dry erase marker! 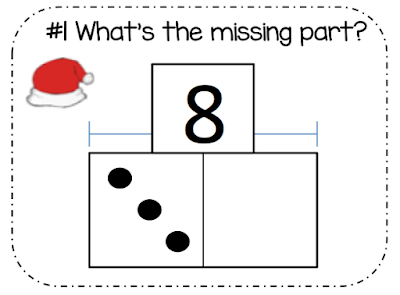 You can use my Christmas Math Addition & Subtraction Task Cards and you will have an awesome math station or small group activity for the month of December. This would be fun for fast finishers too! 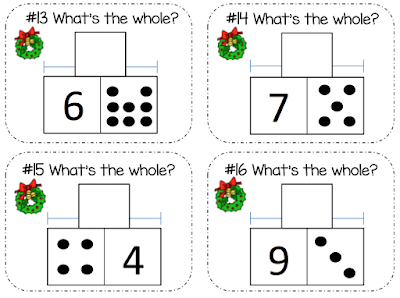 The Christmas Math pack comes with 5 sets of task cards (16 in each set). It includes student recording sheets and answer keys so students can self-check (if you so choose)! Here's what it looks like. Click on the pictures below to see it in my TpT store. The cards come four to a page, as seen here. 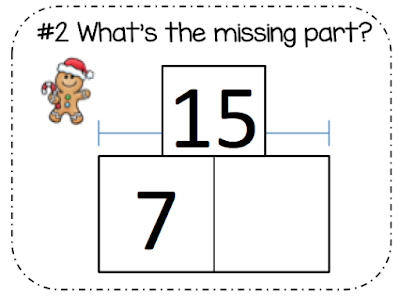 Leave a comment below (with your e-mail) and I'll send my Christmas math pack to a few lucky winners! This looks great and I already bought those erasers! :) Thanks for the opportunity! I've picked four random winners! Check your e-mail Sarah, Jacqueline, Candice, & Texas Teaching Gal. :) Thanks for all of your comments everyone. Happy Thanksgiving & (early) Merry Christmas!